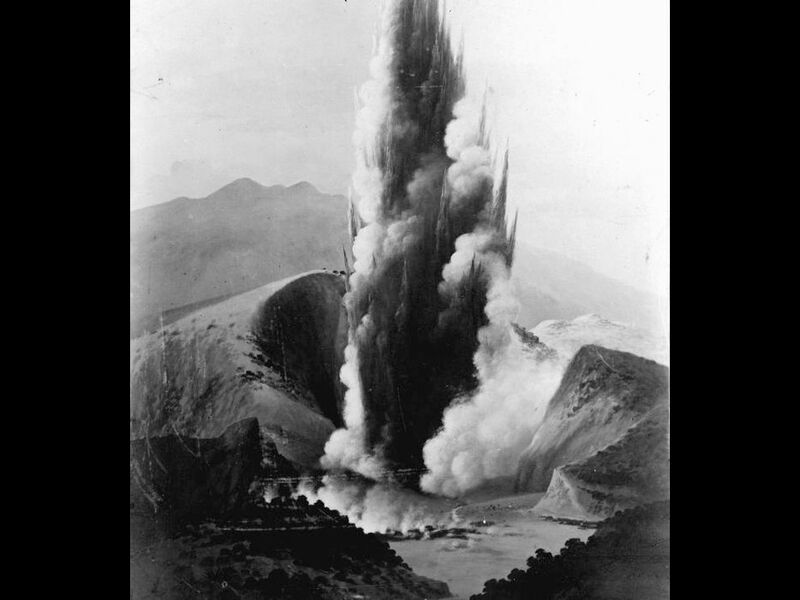 On January 30, 1901, the world’s tallest geyser was identified. Waimangu, on New Zealand's North Island, was identified as the world's tallest geyser in 1901. It stopped erupting in 1904. On January 30, 1901, the world’s tallest geyser was identified. Waimangu was described by Dr. Humphrey Haines, and located on the North Island of New Zealand. Eruptions from this geyser, active from 1900 to 1904, could reach 488 meters (1,600 feet) in the air. That is 10 times as high as Yellowstone National Park’s Old Faithful. It is also higher than the Empire State Building. A geyser is an underground hot spring that periodically erupts through the surface in a spray of hot water and steam. The eruption is caused by hot underground magma, or molten rock, heating the spring’s water. Waimangu, which means “black waters” in the native Maori language, was named for the chunks of black rock it hurled into the air with each eruption. release of material from an opening in the Earth's crust. natural hot spring that sometimes erupts with water or steam. geyser in Yellowstone National Park in the U.S. state of Wyoming. If Your Water Ran Out!